Unschool RULES - Page 2 of 123 - Uncurriculum. Unformal. Unbelievably joyful. When we pulled our daughter, Sarah, out of public school in the middle of sixth grade, and moved toward an unschooling lifestyle, we had relatively few critiques of our learning from life approach. 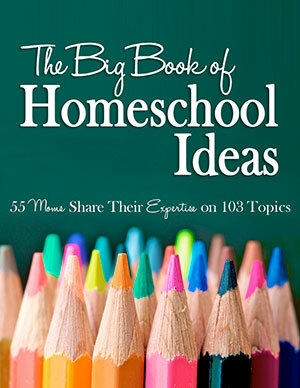 In fact, most people – homeschoolers and not – thought it was pretty awesome. Ah, so many things to unpack there, but at the root of it is a misconception I hear a lot: Unschooling is a great way for young children to learn, but teens can’t succeed in life without a more traditional education. 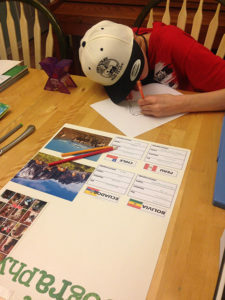 Even many longtime unschooling families I know think they have to “play the game” and push their high-schoolers through more traditional coursework in math and foreign language, even if they feel a more relaxed approach is the best educational path in a broader sense. That’s why I’ve taken the time to create this Ultimate Guide to Creating an Unschooling High School Transcript. 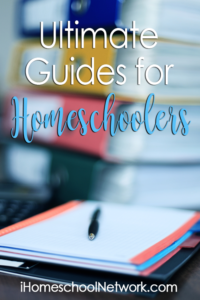 I want to encourage unschoolers and relaxed homeschoolers that they can make high school work in a less formal style – and still create a top-notch transcript that helps their children stand out! Unschooling parents who don’t use any formal curriculum and wonder how to make “learning from life” work at the high school level. Parents of homeschoolers with special passions, such artists, mechanics or entrepreneurs, who want to translate the work their teens spend the most time doing into high school credits. Parents of homeschoolers who want to go to college, and who need to show certain prerequisites. Parents of homeschoolers who want to enter the workforce after high school, who are looking for ways to create or enhance an introductory resume. That covers a lot of ground, right? Mostly, I encourage you to read through and see how much learning to speak transcript-ese can help you show what your unschooler or relaxed homeschooler knows. Let’s get the basics out of the way: Before you begin creating an unschooling high school transcript, you need to gather some information. What are the graduation requirements and other state laws where you live? What are your teen’s post-graduation goals? Sorting out these facts will help you know what you and your teen might need to reflect in a transcript. Whether you haven’t yet started the high-school years and want to plan ahead or you’re coming back to a transcript after some or all of your child’s later compulsory school years are completed, this is what sets the target you’re aiming for. State laws: Where I live in Pennsylvania, to be considered a high school graduate, you must complete your requirements for evaluation of a portfolio of work each year, and your student must have completed a requisite number of credits in English, mathematics, science, social studies and arts and humanities. If these requirements are met, your child earns a standard high school diploma. In Pennsylvania, there is no requirement to keep a transcript; however, we have submitted one to our evaluator each year with our portfolio so we can easily keep track of Sarah’s progress toward the credit requirements. It also helps us to “categorize” the work she does – based on what the state’s requirements are, for instance, I might list a philosophy course under social studies or under arts and humanities, wherever I need to fill in a credit. We’ll talk about this in detail later, but the important point remains: Know your state’s requirements for graduation, and if a transcript specifically is required! Your child’s goals: This is the other key area you have to know before you start work on your transcript. You’ll waste a lot of time and energy if you’re creating a college-admissions-type transcript and your teen wants to start a business or get a job – and vice versa! Even if you’re starting this process early, begin talking about goals. Knowing if your teen is headed more toward veterinary school or a vet tech program or community college or a state engineering university will be a key to creating the right kind of transcript. And nothing says you and your teen can’t change course later on! If you’re already at the decision stage (such as a college application process), you can get even more specific here. One thing I strongly recommend is, if your teens might be college-bound, talk personally with admissions counselors at a few schools of interest. Do not just rely on what’s stated on their websites. 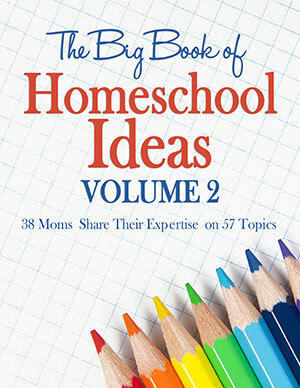 Most schools have separate guidelines for homeschoolers, and many actually prefer the kinds of coursework that homeschoolers have that traditional public-school students might not – so you’ll actually do your teens a disservice if you try to make it look as if they’re exactly like their public-school peers! Our success story: Sarah is not, at this time, interested in pursuing a traditional four-year college degree. She does, however, want to leave open the option to take some college classes in the future. 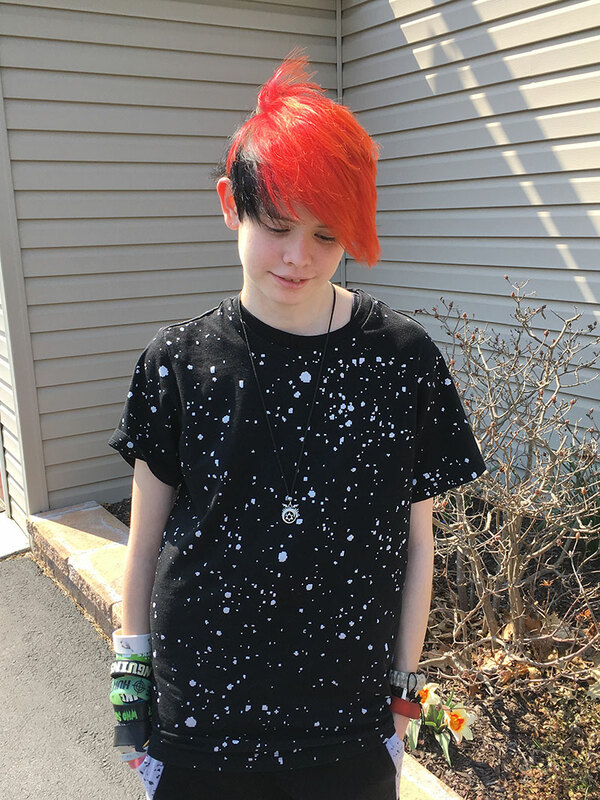 She used her transcript – created ENTIRELY from unschooling experiences – to apply for and gain acceptance to a dual-enrollment program at our local community college. It does work, everybody! We’re living proof! So what information needs to be part of your transcript? And, maybe just as important, what doesn’t need to be included? Here’s a sample transcript header from our actual transcript. The top of each page should contain this information. You can see how we’ve addressed these items in the sample header pictured above! Here’s an example of how one academic year looks on an unschooling high school transcript. This is from our daughter’s first year of high school-age reporting. You can see how a full year of this looked for us in the image above. One note: You are really not required to offer course descriptions, but some places ask for them and we’ve found that including something short on the transcript itself usually prevents requests for a more detailed summary later, so we have seen it in our best interest to include them! This is an example from our daughter’s transcript of the footer at the end of the last page. We use a “supplemental secondary academic record” to show secondary-level work completed before the traditional high school reporting period. We also provide a total by academic area of credits earned, since Pennsylvania graduation requirements are based on those areas, as well as a signature statement from the homeschool supervisor. We use the “supplemental academic experience” format to cover work done at the secondary level that might be relevant, but which was done before the traditional four-year high school reporting period. This is similar to how a public-school student who takes a high school algebra course in eighth grade would see that work reflected on a transcript. You’ll also see we show total credits earned by academic area; that is by no means required, but since Pennsylvania graduation requirements are for a fixed number of credits in each of those areas, we find it easier to include for record-keeping. Finally, you’ll see we have a signature statement verifying the accuracy of the experience. Since we work with an evaluator in Pennsylvania, not only will I sign that, but I will likely also add a space for our evaluator’s signature as an additional verification. What, transcripts don’t have to have grades assigned? That’s right! Please do not “fake” grades for your child if you do not assign them. If you do assign As or Bs or 85%s or whatever, that’s fine, as long as you know it’s not a requisite to include that information. Similarly, standardized test scores, whether SATs/ACTs or state exams or another test, if your student has taken them, do not need to be part of the transcript. Any place that requires this information will receive it separately, and there’s no reason to provide it on a document summarizing educational experiences. All right, you’ve had a brief introduction to some “transcript-ese,” right? Now we really get into speaking the language. First of all, let’s talk about what makes a credit. We, and more importantly many other organizations, use the Carnegie Unit guidelines for a credit, which equates to 120 hours of study on a topic. That’s it. Credits do not need to include textbooks, final projects, reports or any of the other stuff you might see in a more traditional learning environment. A 60-hour commitment to music lessons is a half-credit whether or not you have a recital. You can also do combinations – such as a five-page paper and 60 hours of study for a full credit – but that’s way more complicated than I want to get into. There are also people who will tell you that you can assign an “honors credit” for, say, 180 hours of effort, but unless you’re also doing a weighted GPA, that’s a lot of extra work for something that is still 1 credit on the transcript (albeit with that “honors” designation). Again, talk to the people likely to receive your student’s transcript. Most will tell you that Advanced Placement and, if required, SAT/ACT scores are the factors that affect your child’s placement into college classes, not the designation of honors (or not). My recommendation is to create a transcript that includes the work your child spends time on. Period. If you have state requirements to meet regarding math, science, etc., meet them. But if your teen has other passions, don’t sell those short on a transcript by dropping them into an “elective” category. These “electives” are often the differentiators that colleges and employers are looking for. Play them up! Make them a key part of the transcript content. 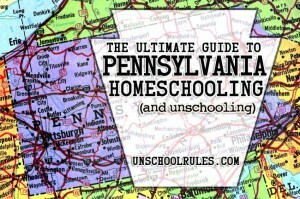 All are free for Unschool RULES email subscribers. Get your copies here. So read on, and you’ll see how transcript-ese looks in action! 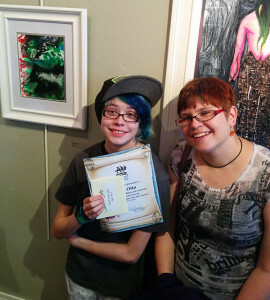 Every credit my daughter earned in four years of unschooling high school is broken down here! 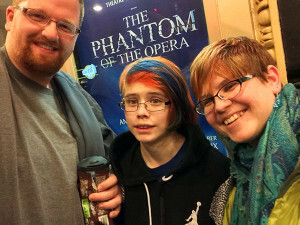 Going to see The Phantom of the Opera on Broadway was a highlight for both our comparative literature AND musical theater credits. We watched a lot of movies based on books – probably 120 hours’ worth in movies alone! Sometimes before and sometimes after, we read or listened to audiobooks or looked up summaries online of the books they were based on. We talked about how the books and movies were similar and different, and which Sarah liked better. We also attended some plays based on literature, including an amazing local high school production of some Edgar Allan Poe stories. Sarah read a lot of awesome fiction in the genre she was trying to write in. 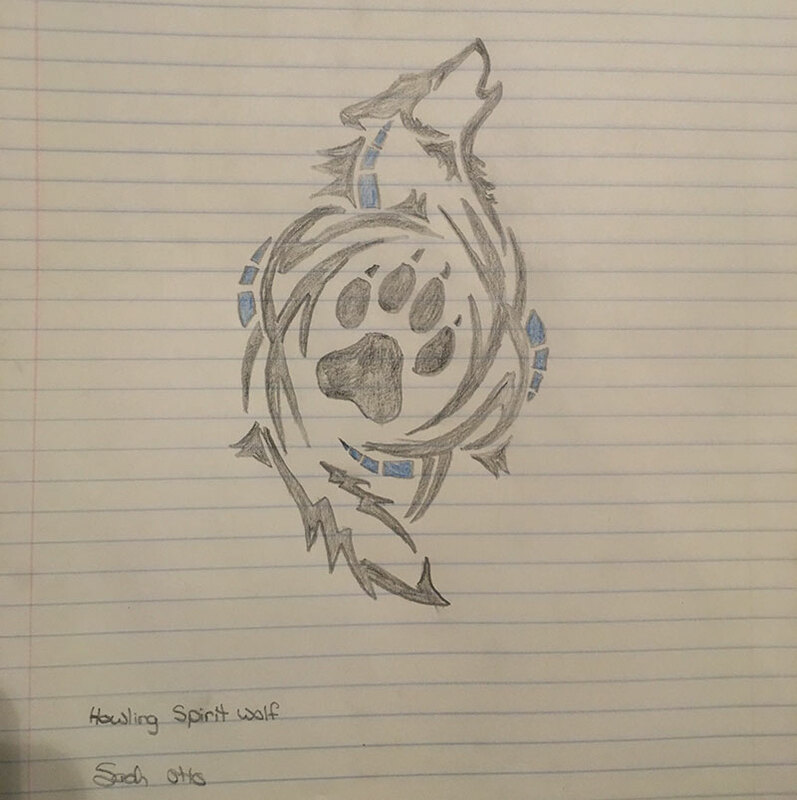 Yes, reading is part of writing! She talked with our friendly local bookstore owner and several family friends who are published authors about her project and got some advice. Sarah loves Shakespeare and Poe, so we watched movies and plays featuring their works, as well as some Robert Louis Stevenson and H.G. Wells adaptations. This got her interested in the books behind the performances, so we picked up copies of those and she read some or all of them, or we read them together. Somehow, she got totally into Dante’s Inferno and started reading that on her own. That sucker is denser than I remember from reading it in college! We dug into it together, including some pretty heavy online research. Building on what we did the year before, Sarah kept reading a bunch of Shakespeare, and she started memorizing a bunch of monologues, soliloquies, dialogues and poetry. She also performed in multiple Shakespeare plays, including The Tempest and Antony and Cleopatra, and we attended at least four or five others. Sarah also took several Shakespeare-based classes through Outschool. Anything to do with reading or books, call it literature. Remember that audio books, movies and plays can very much be a part of “language arts.” They involve a ton of expressive language and work great for visual and auditory learners. Think in themes. Here in PA, this is easier because we need to keep what’s called a book log. So over the course of the year, we have a pretty simple way to go back and look for what things have in common (like we did with Classical Literature). If you don’t have to do such a log, your library card records are often a good place to start! 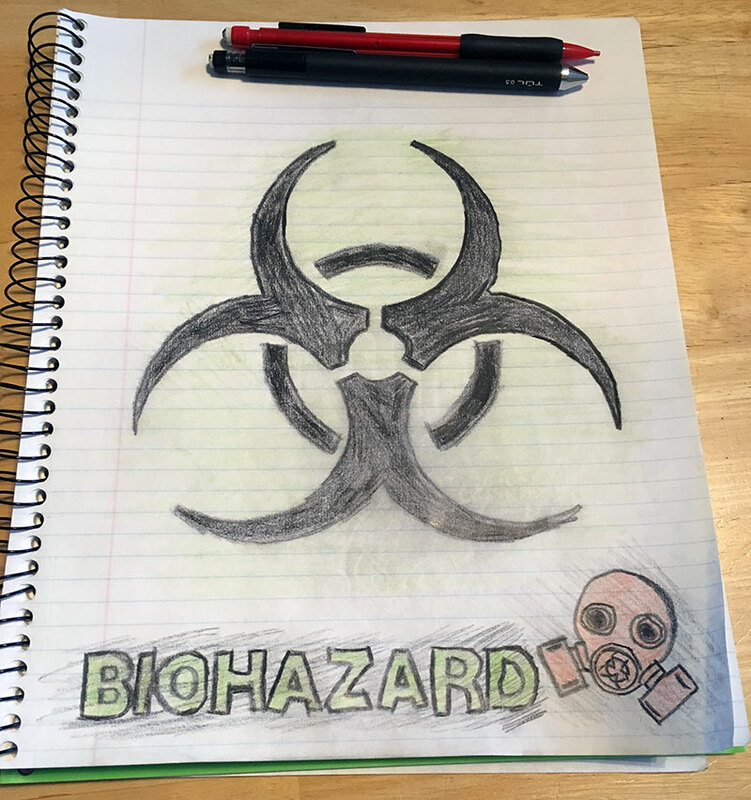 Using the DragonBox Algebra 12+ app was one way Sarah dug into the concepts behind algebra! We talk about math all the time, which is funny because Sarah will tell you that she doesn’t like math and isn’t good at it. That’s where the “Concepts of” course titles come in. We spend very little time working out problems, and a lot of time discussing the concepts behind them and their applications. We do this so often I actually wrote a whole separate post about it, called Real-world high school math: Learning algebra and geometry from life. I definitely recommend you check that out, as it lists a lot of the great resources we’ve used – such as Dragonbox apps and Life of Fred books – as well as some of the many conversational topics that fall into algebraic or geometric concepts. (And while Life of Fred is described as a Christian series, we are a secular homeschooling family and haven’t had any problems using the fairly few spiritual references we’ve found as talking points about what different people believe, which we like to do anyway. Course description: Continued work in budgeting, personal account management, credit and debt, etc. Sarah has long been responsible for managing her personal savings, earning money to buy things she wants and then spending, saving and giving responsibly. Why on earth would she not get credit for the hard work she puts into this? As it happens, I spent many years as a personal finance writer, so Sarah probably has heard way more than she wants to about that topic, including a ton about how credit works and the ins and outs of debt. We’re also big fans of talking about our own finances with Sarah, so she’s been part and parcel to a lot of financial happenings, such as job changes, a divorce, leasing and buying a car, etc. The election was a HUGE part of our conversation, and specifically the stock market. We spent close to an hour a day for quite a while on current events discussions and email exchanges with Sarah from about October onward. As it turns out, we wrapped up Sarah’s school year by selling our home and buying a new one. Nothing like a crash course in mortgages and real estate to contribute to an economics credit! I also wrapped up my car lease and bought it out during Sarah’s junior year, and as part of that, I was proud to find out my credit score was over 800 for the first time. Sarah was understandably perplexed at a score that did not involve video games, so we dove into credit scores to find out more! That “concepts of” phrase is your friend. Use that in all subjects, not just math, when you want to describe a broad survey of a subject area. Don’t underestimate the things you do in your everyday life. 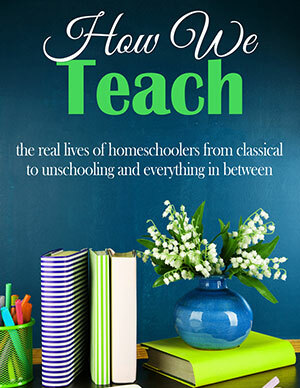 This is so true even if you’re a more traditional homeschooler. Someone recently asked in a Facebook group I’m part of whether her son’s regular work of several hours a week on the church’s sound board could qualify as any kind of high school credit. Um, yes! (I suggested “Audio Production.”) Just because something is a routine part of your life, like personal finance, doesn’t mean it doesn’t “count” educationally. Look for subjects hidden within other subjects. For instance, our economics credit for this past year could probably have been wrapped up into a current events credit, or into more “bulk” for the political science credit she also earned. But boom – pull out a piece of the topic, figure out the hours of time spent on it, and suddenly you have a credit in a subject area you had fewer “extras” in. Here’s an example of how Sarah’s sophomore year looked on an unschooling high school transcript. 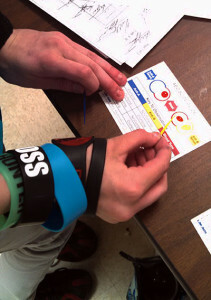 Sarah’s demonstrating how to determine blood type using a clotting agent, a skill she learned at forensics camp. So this was one of the easiest credits to figure out, because Sarah actually took two formal classes in forensics, one as a summer program and one at our local college, which added up to almost 60 hours of her 120 for the credit. Bless the people in the college program, as they suggested a ton of movies about forensics and provided some discussion ideas for them. We watched a bunch and read some more in the books they had excerpted as well. We took field trips to the National Museum of Crime and Punishment and the National Spy Museum, which had a bunch of great forensic-related exhibits. 4-H. Seriously. Sarah actually probably could earn two credits every year for the time she spends in meetings, on trips, working on projects, doing farm work… but one per year seemed sufficient. She’s a member of the Clover Canines dog-raising club, the Wildlife Watchers club and the Alpaca club, and between them she has done some amazing things. 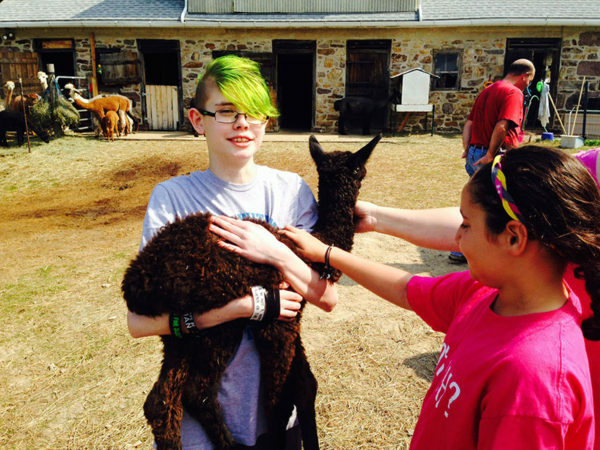 Some of our favorite field trips: A ton of alpaca shows around the state and region; the Wolf Sanctuary of PA; the Lehigh Valley Zoo; Reptiland; Lake Tobias; OdySea Aquarium in Phoenix, AZ; Bearizona, also in Arizona; more butterfly experiences in multiple states than most people can imagine; local pet stores; hikes at our county parks… the list goes on for quite a while. Sarah’s biggest exploration in the area of animal science her junior and senior years was alpaca genetics – which led to a lot of human biology discussion as well. She spent hours digging up the colors of the alpacas at the farm we work on, and their parents’ colors, and exploring the ins and outs of heredity, which are apparently much more complex in camelids than they are in humans. Early summer is alpaca baby season! This is Sarah with Mac (Macintosh), one of the summer 2016 crias. You’ll like this one: I started a master’s degree in a public health field, and Sarah was always asking me what I was studying or reading about or writing about. Guess what that turned into? Besides the things we talked about specifically based on my studies, and the lecture videos of mine she watched, we also watched a bunch of movies about health issues – think Outbreak, etc. The Plague app, in which you try to infect the world with a virtual disease, was great for talking about how different types of diseases spread, how they can be treated, etc. We rounded out the hours for this half-credit by talking about health issues in the news, most notably the Ebola crisis. Astronomy was actually one of Sarah’s first topics of interest when we began our homeschooling journey. Just this year, we really revisited it with the purchase of a museum membership at the North Museum in Lancaster, PA, which has a SciDome that does planetarium shows. In addition to the museum, we worked current events into this credit. Pluto isn’t a planet any more; some people get really crazy about eclipses; are we really going to send people to Mars… that sort of thing. Movies were a big part of this too. If you haven’t yet watched Arrival or The Martian, I strongly recommend them, as well as the more obvious choices, like Apollo 13. Bonus: The Martian can double as “Comparative Literature” with the accompanying book. Don’t forget to think about your field trips! When we talked about literature, I mentioned plays we went to see; here, I shared all the trips we took to obvious places, like zoos and aquariums and science museums, as well as some that you might not have automatically grouped into science, like the Spy Museum. Current events, current events, current events. If your family isn’t in the habit of talking about these, first of all, I recommend that you start. If you are, think back over the news items from the past year and you’ll probably find some themes that can advise your transcript-ese. Keep an eye on your movies. There, again, is a place you can often see themes that you can then reflect more on for a potential credit. Sarah originally became fascinated by World War II thanks to James Bond. Actually, it was thanks to her favorite Bond, Daniel Craig, and a movie called Defiance that he starred in, detailing the real-life story of the Bielski brothers, who led a Jewish forest resistance during the war. Watching the movie led to reading the Bielski Brothers book, which led to more movies and more books. We took an amazing field trip to the National World War II Museum in New Orleans, which not only added time to these credits from when we visited, but from the conversations we had on the drive home across several states about what we saw. Later in her World War II explorations, Sarah became really absorbed with Hitler. “Why did he do what he did? This was a great example of living our lives and letting the theme find us later. Sarah’s Brit passion started with the Beatles – and specifically, playing through all of The Beatles: Rock Band. From there, she and I did a Coursera course together on the Beatles’ music, which somehow led us into some conversations about the Queen and the British line of succession to the throne, which led us into a pretty in-depth exploration, over time, of various British rules across history. Then there’s James Bond. Via Sarah’s Bond fascination, we learned all about modern-day England, especially the real MI6 intelligence agency. Jumping way back in time, Sarah’s Shakespeare interest led to a lot of learning about Elizabethan England, and we followed that up with some Renaissance explorations that started with our local Ren Faire and continued afterward. For the 2016 4-H fair, the Alpaca Club made posters, and Sarah chose as her topic “Alpaca Geography,” exploring the countries where alpacas are native. Sarah absolutely loves all things to do with maps. One of her very first homeschooling experiences was working on a blog post with her dad about an old geography textbook and she’s never lost interest. As a teen, her way of pursuing geography and culture is generally to get very interested in a particular place and then explore all she can about it. One of the best ways of finding new places that are cool? Celebrities. See the earlier description of England via James Bond, but we also dug into Austria thanks to Arnold Schwarzenegger, Argentina due to Lionel Messi and Portugal from Cristiano Ronaldo. Then there’s Postcrossing, about which I cannot say enough good things. 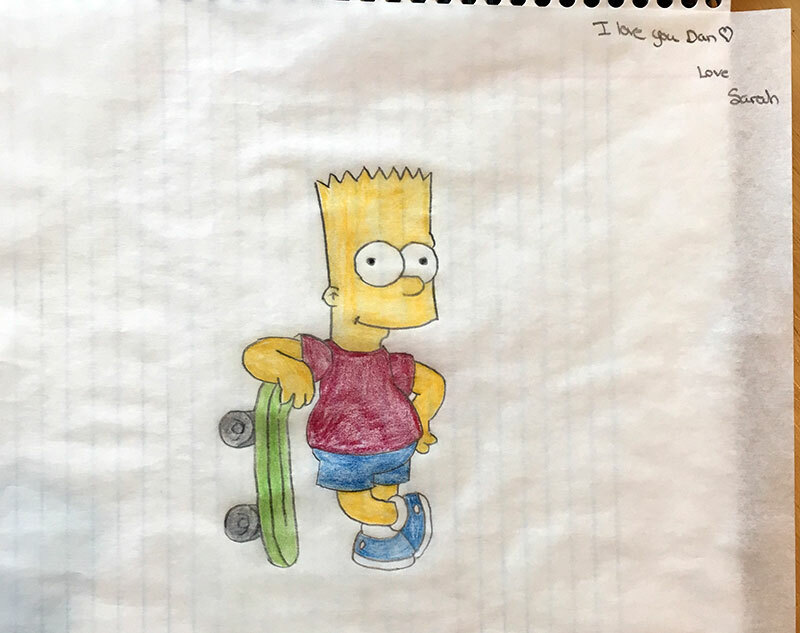 This project, which Chris spearheads, led to Sarah developing an ongoing, long-term pen-friendship with a girl in Taiwan named Christina, with whom she regularly exchanges cards, letters and gifts. New this year, we subscribed to Universal Yums, which lets us sample snacks from a different country each month as well as telling us some cool trivia that almost always encourages further research. for which we’ve used some great printables from NotebookingPages. Detailing the languages, currencies, weather, landmarks and that sort of thing really appeals to Sarah and she’s amassed quite a collection. 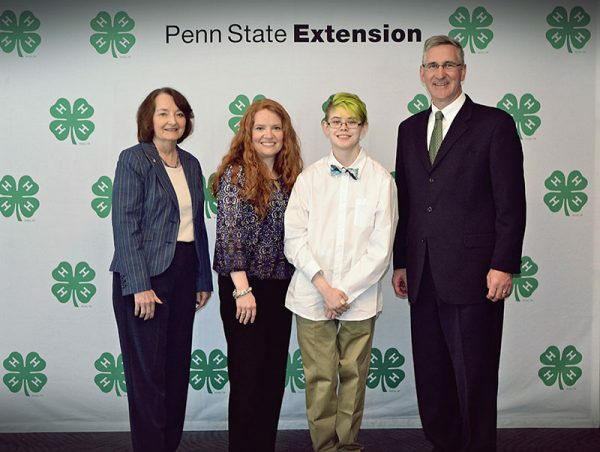 Taking part in Pennsylvania’s 4H State Capital Days has allowed Sarah to meet a bunch of our lawmakers, including the state Secretary of Agriculture, Russell Redding. “The 2016 election” is the short answer to what we did here, over the course of two academic years. Talking about it, watching the debates, reading news stories online, sending emails to each other with the latest updates, and eventually, for everyone but Sarah (MUCH to her dismay), going to vote. Though this was officially the last election she was too young to vote in, she did have her pick for a candidate, chosen after much review of the issues that mattered most to her. We also explored a lot about state government through Sarah’s participation in a 4-H program called “Capital Days,” in which they visit our state capital, Harrisburg, for several days and do a mock legislative session, culminating in a brunch where the 4-H teens sit with their lawmakers and discuss issues relevant to them. Sarah is really into tons of places in Europe – as you can tell from her earlier British History credit. We talked about a lot of major events going on in Europe, such as Brexit and the refugee crisis, and then we took some deep dives into particular countries of interest. Outschool was again a big part of this, as Sarah took part in one-time classes on the history of several individual European countries. A big way we found countries to explore was through our Universal Yums subscription, where we get snacks from and a book of history facts and trivia about a different country every month. In great timing, we got a Greece box the month of the Greek Food Festival in town. Similary, we went to the Jewish Food Festival the month we saw a play performance of The Diary of Anne Frank, which allowed us to talk more about Jewish culture in different parts of Europe. I said it in science, I’ll say it again: Current events. They can be your friend, and they can help you find some pretty obvious themes for your credits. On the other hand, be on the lookout for non-obvious themes. I did not immediately put together the Beatles and Shakespeare and think “British history and culture,” but once I started to jot down all the things we’d spent a lot of time on, the pattern popped out. Don’t be afraid of learning that spans multiple years. The “1, 2, 3, 4” system you’re seeing throughout this post is how we reflect that. You could also ditch years altogether on your transcript and just show a series of credits by subject, which is also a fully acceptable method. In either case, please don’t shy away from assigning a credit because you’ve already covered that topic. This is not how the public school system works, and you don’t need to either. Here’s an example of how Sarah’s junior year looked on an unschooling high school transcript. 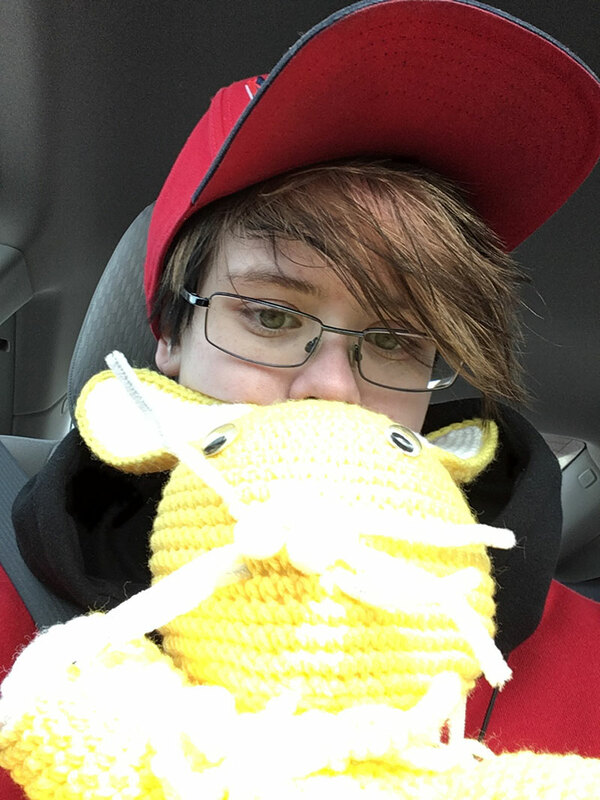 In addition to making and showing her work, Sarah’s been giving handmade gifts, and recently started to explore selling prints and originals, which is a pretty great first job for a high-schooler. We also have made friends with the owner of our local art-supply store, and we regularly talk with her as well as a lot of other local professional artists about new techniques and ideas. Sarah spent two years taking one-on-one lessons in music theory, beginning performance and appreciation from an amazing dude named Rod, who owns Music at Metropolis. She then joined Rod’s “We Rock” group, an ensemble performance group, which was cool! In addition to her lessons with Rod, she practices performance at home, and listens to a TON of music and makes notes and observations for class as well as just for fun. I mentioned before that this came out of our World War II study. We started by watching a bunch of German YouTube videos and doing some online research. Later, Sarah started using DuoLingo to practice and eventually got to more than 50% fluency in basic German! We also explored the food, culture and cultural geography of Germany. This started when Sarah was super-into The Matrix movie series. She read all of The Matrix and Philosophy and most of its sequel, and, from there, got interested in Plato, Kant and Sartre. We took a Coursera course together on ancient philosophers, which was really great. Altogether, our hours for these three credits probably came about 60% from reading, about 20% from online courses and movie-watching, and about 20% from our discussions. Much of the Panic at the Ballpark cast from October 2016, including Sarah as CJ Logan, undead shortstop. The dude with the baseball coming out of his head is the center of the story, and the twins you see at right are friends of Sarah’s who served as “tour guides” for the attraction. 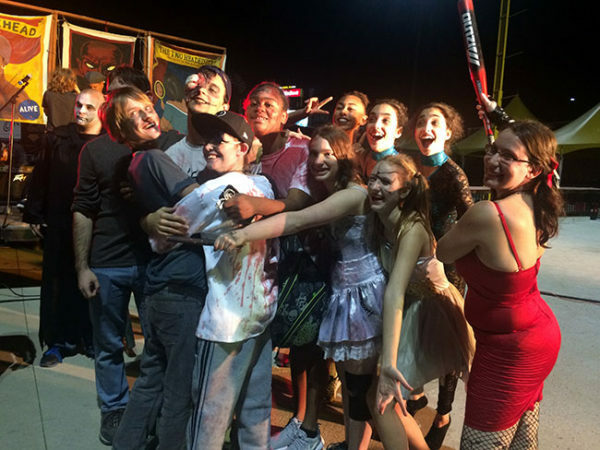 Starting her junior year and continuing heavily in her senior year, Sarah began to get involved with several different local theater organizations. She’s taken a stage-combat class, participated in a monthlong Halloween attraction at our local baseball stadium, served on set and props crews, and acted in a number of plays. As she sometimes spent 3 to 4 hours a night, 5 nights a week, at the theater for months at a time, the credit hours added up fast! 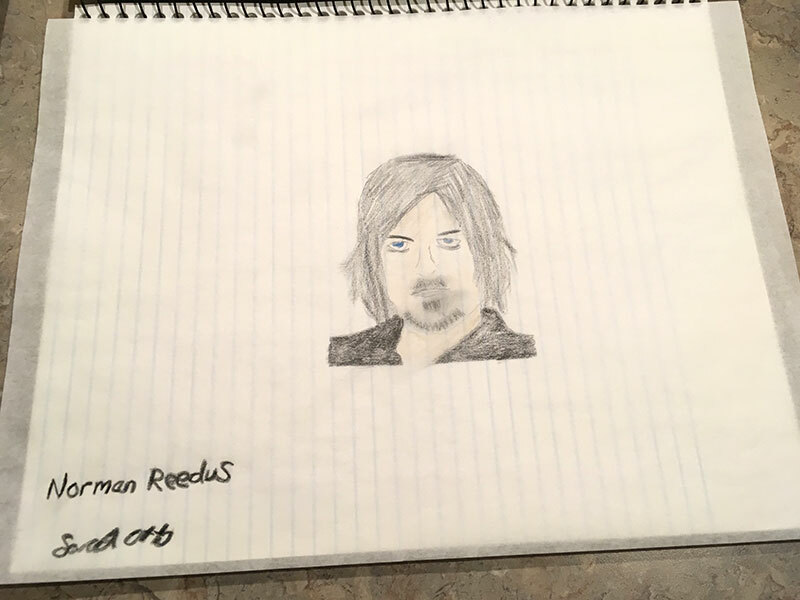 Sarah developed a huge interest in this area that started with wanting to modify and edit photos for her Norman Reedus fan account on Instagram, where she learned about different kinds of filters, color balancing and more. She then moved on to video editing and composition, which led to her watching several documentaries to see how those were created. 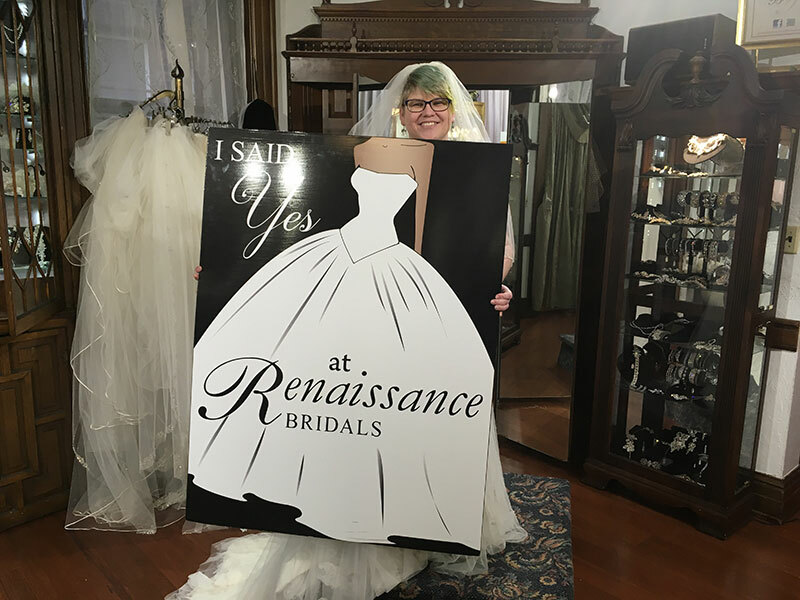 We studied the works of a number of photographers and videographers, and Sarah spent a good amount of time talking with a family friend who owns a photography business about the equipment and skills required to be a professional photographer, which is one of her possible career paths. Once again, Outschool gets credit for a number of film study and film creation courses, including a really cool series on special effects and some neat TV and film studies involving some of Sarah’s favorite shows. Please don’t sell the arts short. It might be more obvious as a credit if your teen is actively involved in performance of dance, music, visual art or drama. However, if you have a teen who likes to listen to music, or attend theater performances, this is a key learning experience too! Don’t be afraid of half-credit or even quarter-credit courses. These show your teen has had an introduction to various cultural subjects. The “Appreciation” designation is great for course titles. Music appreciation is listening to and trying to better understand music. 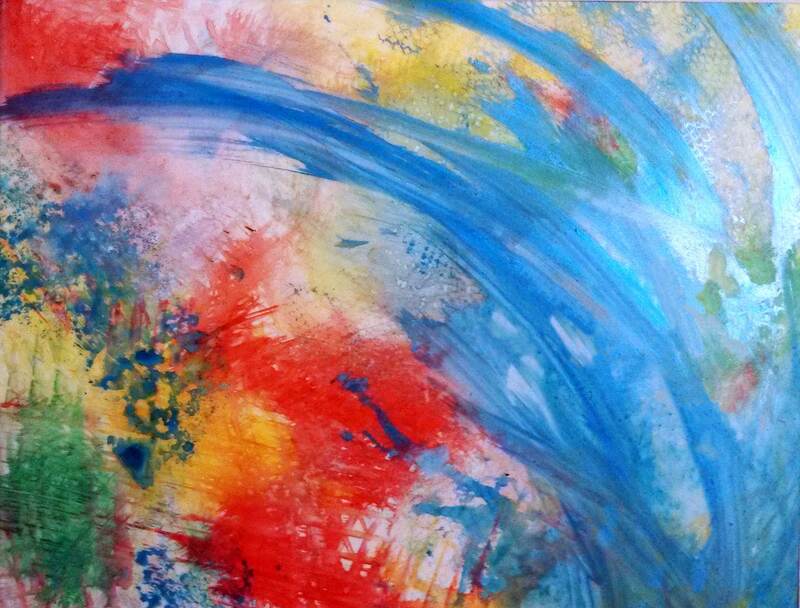 Art appreciation is looking at and trying to better understand art. I would imagine many families could show “credit” in these areas! Really, you don’t even need this on most transcripts. 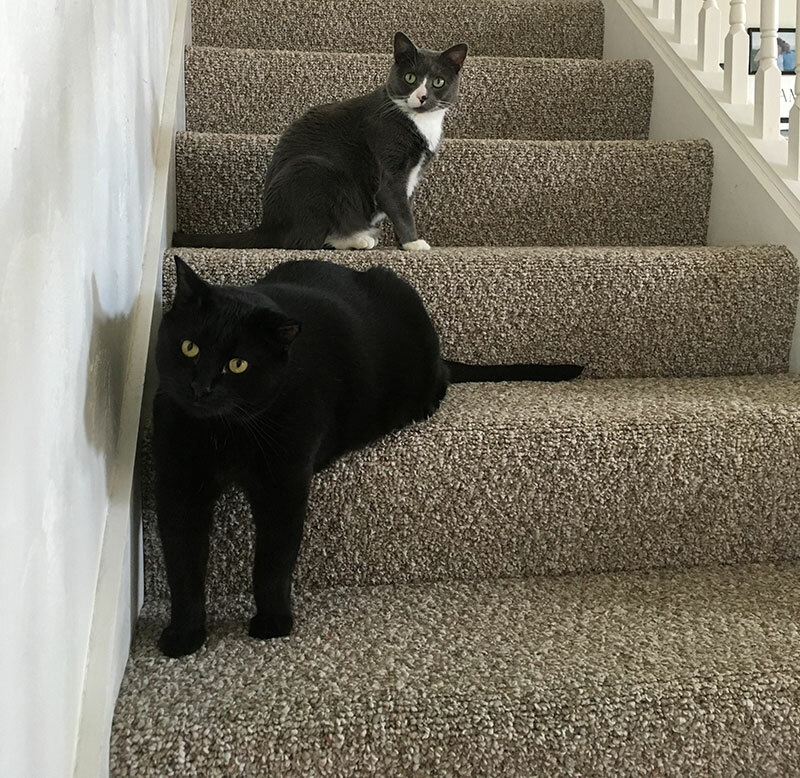 However, Pennsylvania law requires that you show continuing education about fire safety, and Sarah has spent an increasing amount of time on physical activity, so I figure why not give her credit for it? Health includes all the great conversations you need to have with teens about their bodies, reproduction, hygiene, and all that good stuff. I’m sure I don’t need to spell this out. You had health class, right? Personal fitness includes a TON of stuff that, on the other hand, I’m glad to spell out. We do a bunch of hiking and bicycling as a family. Sarah gets a lot of exercise working alpacas that outweigh her. She developed her own fitness routine based on her hero, Arnold Schwarzenegger. We joined a gym. We play basketball and soccer and baseball together. We go bowling and mini-golfing and to the trampoline park. All of that counts! Not much to add here, but to be explicitly clear about what I said above: Caring for yourself, if done intentionally, can absolutely count for “credit,” at least on par with the college credit in bowling that I so proudly earned back in the day by showing up once a week and occasionally not using the bumpers. Don’t forget to count organized sports watching as well as participating. No, you can’t get credit for attending every Phillies game of the season, but you can legitimately supplement your credit hours with a reasonable amount of time spent watching and learning the rules of the game as well as playing it. I haven’t reflected anything in this category on Sarah’s transcript, but “practical arts,” which includes things like woodworking, car maintenance and repair, sewing, cooking, general home economics and much more, is an area you probably will want to consider on your own. I actually wish I had done more to document and reflect these areas in Sarah’s high school years. These are absolutely valid credits. Time spent working DOES qualify for transcript credit. In fact, many public high schools offer courses with titles such as “Diversified Occupations” or “Career Development” which incorporate both classroom instruction in resume-writing, etc., as well as time spent getting and working at a job. 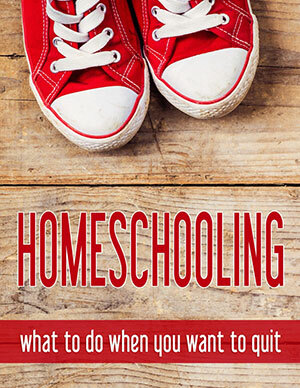 Your relaxed homeschooler or unschooler absolutely can count the same types of activities. If your teen crafts a resume, goes on a job search and lands a position, their work in doing so is very much a learning experience, and you should reflect it as such! 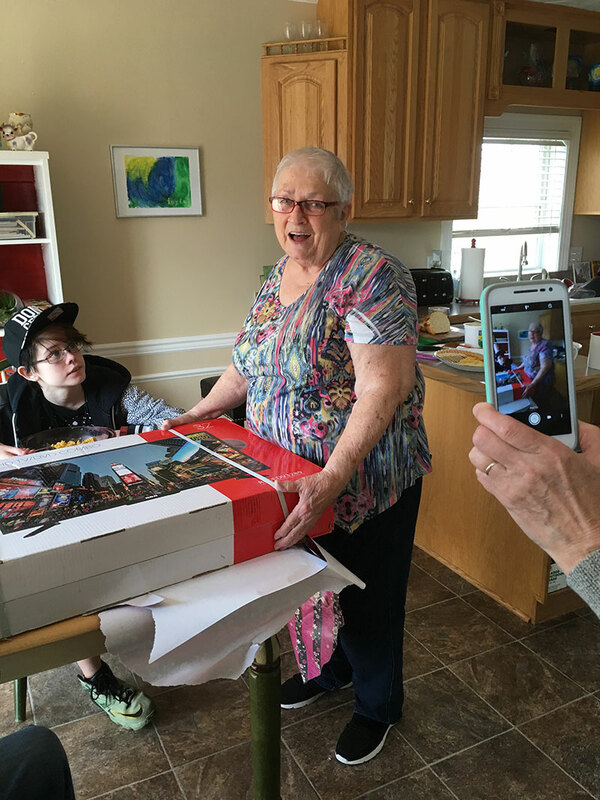 While Sarah hasn’t yet started driving, many unschooled teens will count studying for a permit test, doing road practice and getting a driver’s license among their high school experiences. Your time toward this counts as a credit as well! If your student plans to dual-enroll in any college courses (usually done during junior and senior years), you can definitely include those on the transcript as well, and that’s super-easy – take the name and short description from the college, add the grade if you wish, and call it good! Look back over your year and pick out the ways your family spent most of your time. Look for themes in those areas. If it’s movies, did you watch a bunch of a certain genre or topic? If it’s traveling, did you go to a bunch of zoos or a bunch of history museums? If it’s listening to audiobooks or podcasts, what were some of the best ones? If you’re having trouble thinking in terms of “school-speak,” or transcript-ese, pick one key book or movie or trip location and try to imagine a class you might have taken in high school or college that would have used that as an enrichment activity to support more traditional textbook learning. Find some good key words and phrases, such as “Concepts of” or “Introduction to” or “Appreciation” or “Advanced,” and see how to work them into the areas you want to describe. 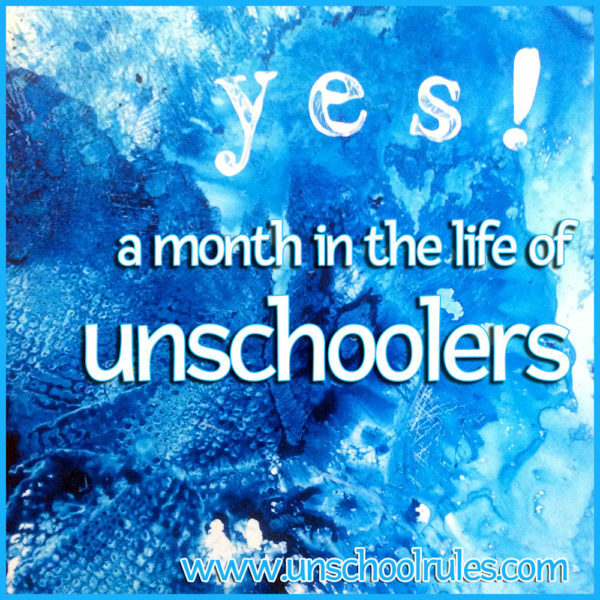 And, as is always the case here at Unschool Rules, if you have any other questions, please comment below! While I no longer have the availability to provide full consulting services, I do try to answer all comments and will certainly be glad to help if I can, and can recommend some great consultants if you do need more detailed advice! 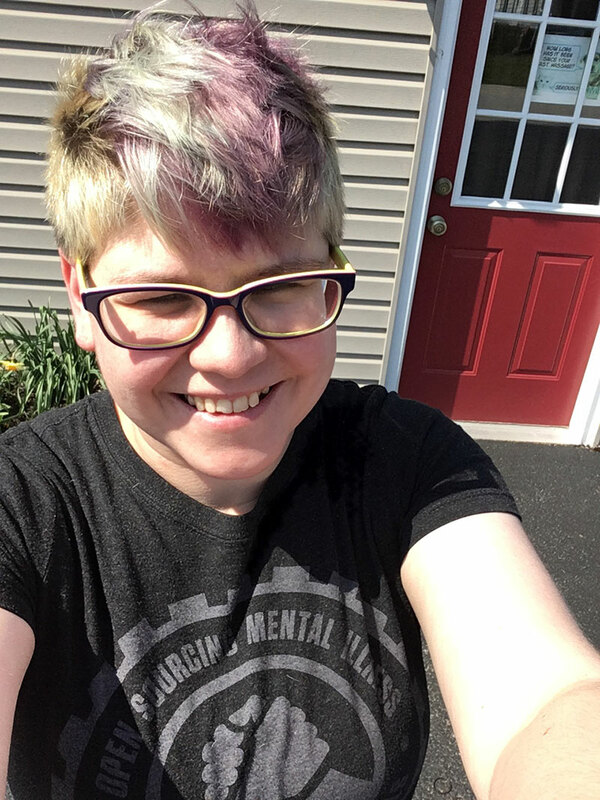 In August 2017, my friend and fellow York, PA, unschooler Nikki Donahue spent a day combing the websites of high schools across Central Pennsylvania and compiling a list of their actual course titles for anything interesting that was worth half a credit or more. Her list, which includes “Exploring the Kingdoms of Life,” “Physics of Sports,” “Landscaping Design and Construction,” “Film, Fiction and History,” “Intro to Peacebuilding,” “Dystopian Literature,” “Screenprinting,” “Criminal and Civil Law,” “Theatre and Justice” and about a hundred more ideas, is part of my download library for email newsletter subscribers, so make sure you’re subscribed here to see the full list! 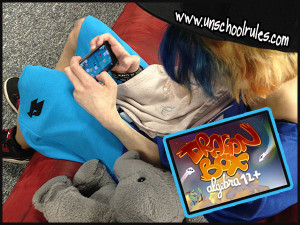 This post is part of the iHomeschool Network’s Ultimate Guides series. Click the image here to see great tips from some of my fellow bloggers on a ton of cool topics!